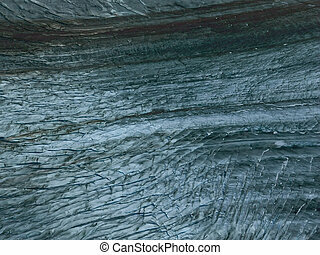 Alaskan glacier aerial. 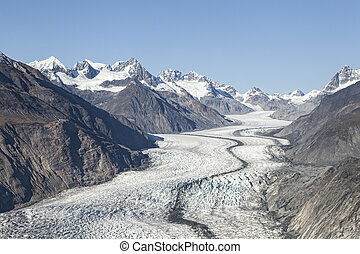 Aerial of and alaskan glacier in glacier bay national park on a sunny day. 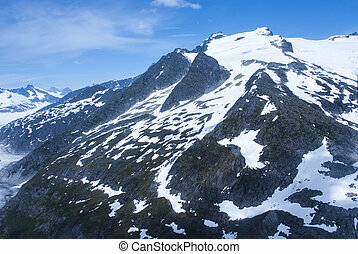 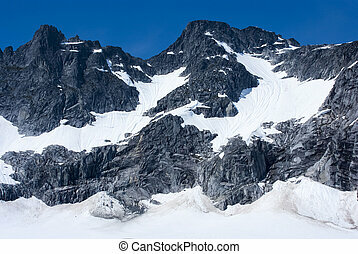 Packed Snow Capped Craggy Sheer Mountain Peak. 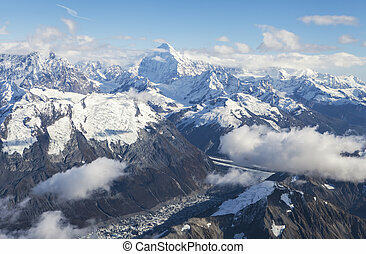 Aerial View of the Great Alaskan Wilderness, Denali National Park, Alaska. 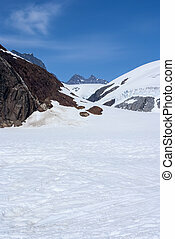 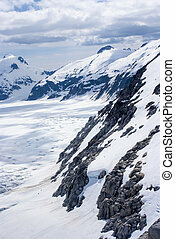 A Beautiful Snowscape of Rock, Snow, and Ice. 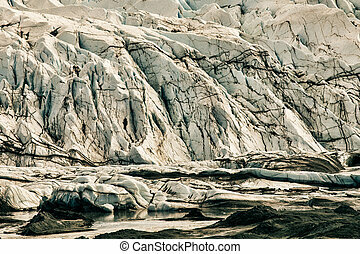 Hubbard Glacier located in eastern Alaska and part of Yukon, Canada, and named after Gardiner Hubbard. 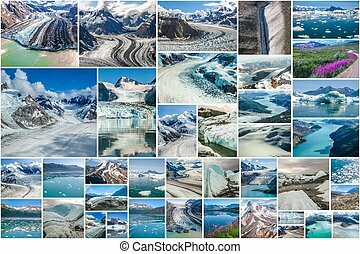 Glaciers picture collage of different famous National Parks of Alaska including Denali, Wrangell St. Elias, Kenai Fjords, Matanuska Glacier and Glacier Bay, United States. 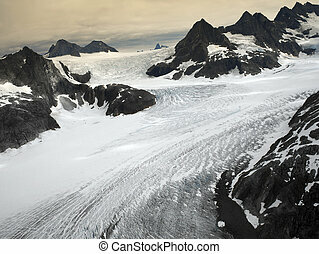 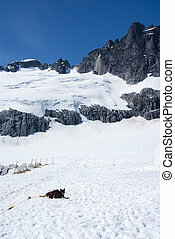 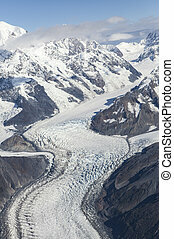 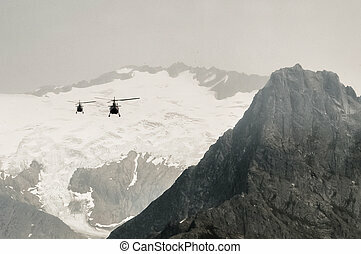 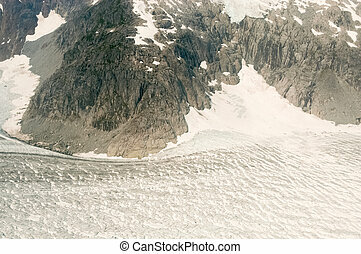 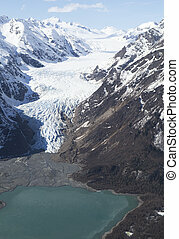 Aerial view of the Davidson Glacier in Southeast Alaska. 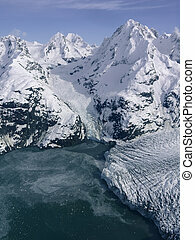 Aerial photo of Glacier Bay National Park wilderness with glaciers and Mt. 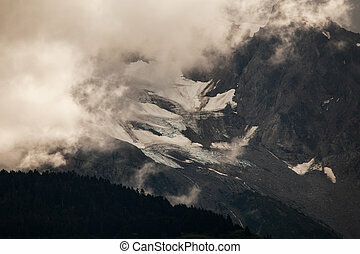 Fairweather in the background. 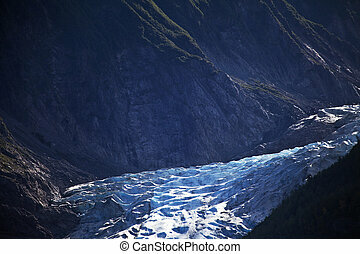 Glacier in Southeast Alaska curving through a valley shot from a small plane. 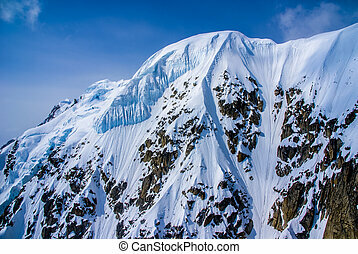 Southeast Alaskan mountain peaks with clouds on a sunny day as seen from a small plane. 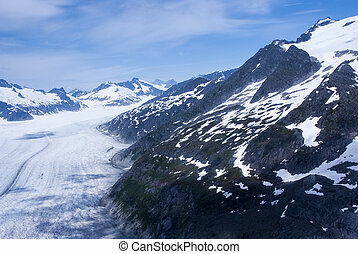 McBride glacier in Glacier Bay in Alaska on a sunny day from the air. 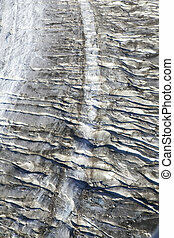 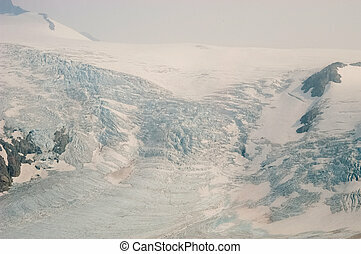 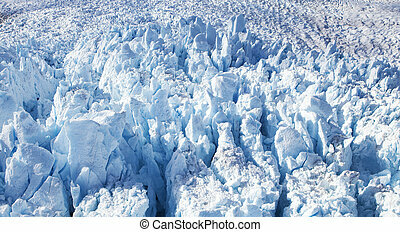 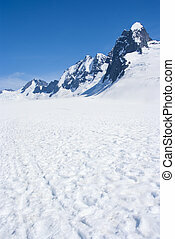 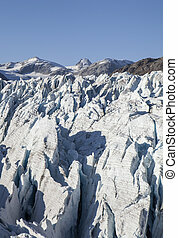 Aerial photo of deep crevasses in an Alaskan glacier on a sunny day. 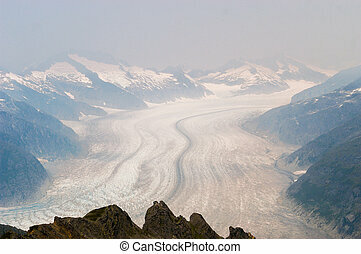 Misty Alaskan mountains in the Chilkat range near Haines with a glacier and snow. 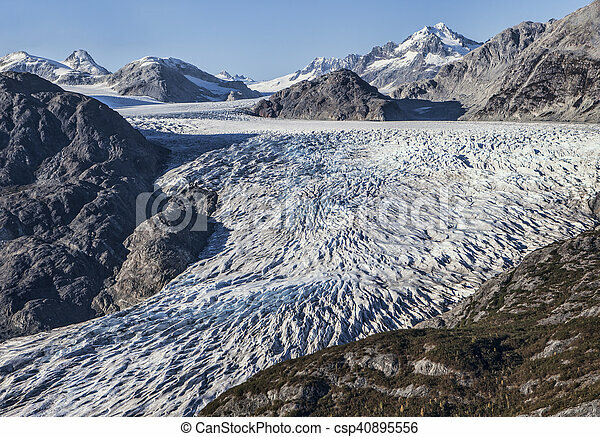 Aerial photo showing the Davidson Glacier near Glacier Point in Southeast Alaska receding with a small lake below the moraine. 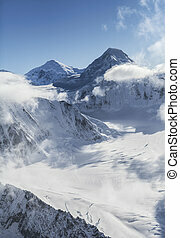 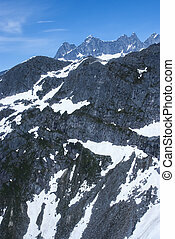 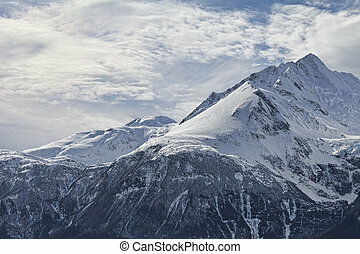 Mountain peaks in the Chilkat range in Southeast Alaska with snow and clouds. 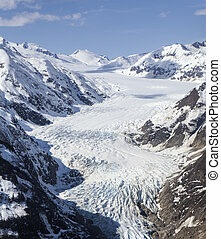 Johns Hopkins glacier in Glacier Bay National Park in Southeast Alaska as seen from the air in late winter.